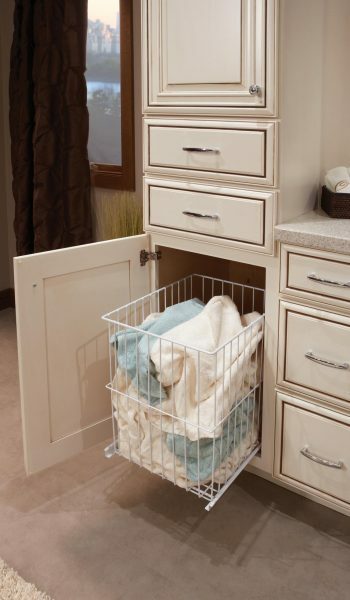 Slide-out hamper tucks away behind the cabinet door. White epoxy-coated wire hamper slides out of cabinet, not fixed to door. Available heights 84″, 90″, 93″ and 96″. Depth modifications available; minimum 21″, maximum 24″.